There was a time when parents relied mainly on toys to keep their toddlers entertained. The iPhone can be a great pacifier too. Toddlers can play with kid friendly apps and interact with photos on the device. Unfortunately, the iPhone is not made to take too much abuse. The young ones can be quite curious. They can easily end up breaking the phone if parents are not too careful. Fisher-Price’s Apptivity Case aims to solve this dilemma. The Apptivity case is designed to protect the iPhone against accidents. It has rings to be chewed on by toddlers. The designers promise this case will protect iPhone and iPod against sticky fingers and drooling mouths. Once users lock the phone inside the case, it will be almost impossible for toddler to take it out. The back pops off with a twist of a coin or key. The Apptivity case is made of rubber and makes it easy for children to handle an iPhone. A clear film is included to protect the screen. The buttons are kept safe from children though. 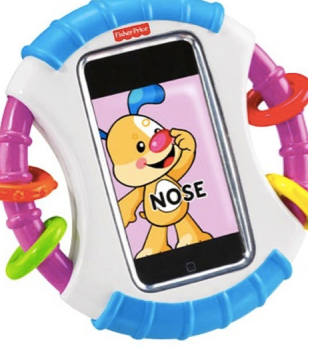 Fisher-Price has not only designed a very interesting case for toddlers, it has 3 free applications to keep them entertained (Animal Sounds, Where�s Puppy�s Nose?, Let�s Count Animals!). 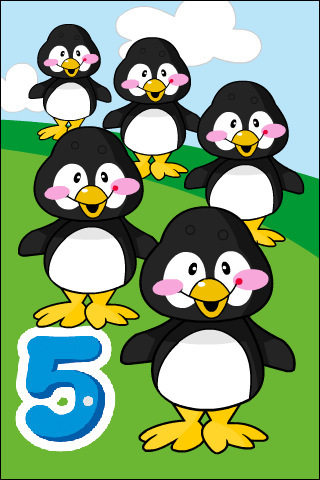 These apps teach young children about animals and very basic math. The Apptivity case will cost parents $15. This works for children ages 6 months to 36 months. It could be a life saver for parents who have trouble keeping their babies entertained with regular toys and want to use their iPhone to do the job. It will be available for sale some time in October.